In June we found out that divestment from Fossil Fuels was at last going to be debated by Birmingham City Council! With only three weeks to prepare the Divest WMPF team sprang into action. We set up a website information hub for public and Councillors alike. Brummies were called upon to lobby their Councillors. 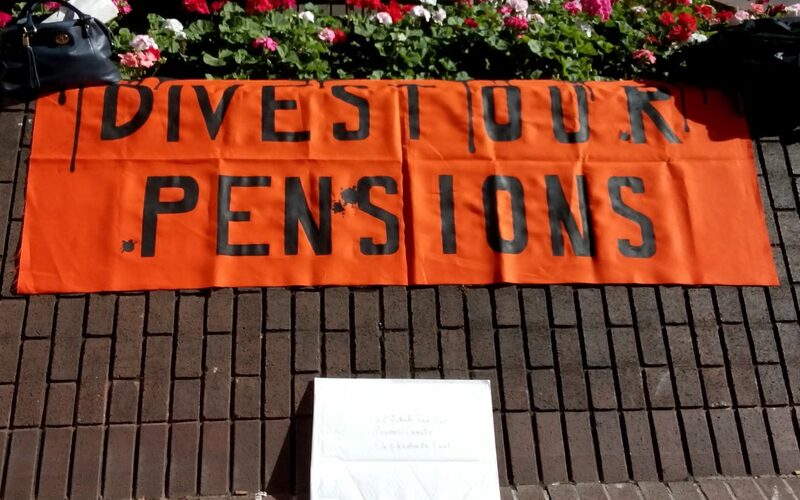 The pieces of the puzzle started to come together as May’s lobbying of Mayoral candidates paid off, giving the motion cross party appeal, and postcards collected from constituents on Global Divestment Day were mailed to around 50 Councillors asking them to support the motion.